Just before the night ends, let me share with you a promotion (emm...actually two promotions) that you must not miss out during this Raya Festival! I'm pretty sure you know by now about how much of an avid fan I am when it comes to Althea, right? Well, if you did not know...then scroll all the way down this blog and at the "Search" button type in Althea and you will know what I mean. 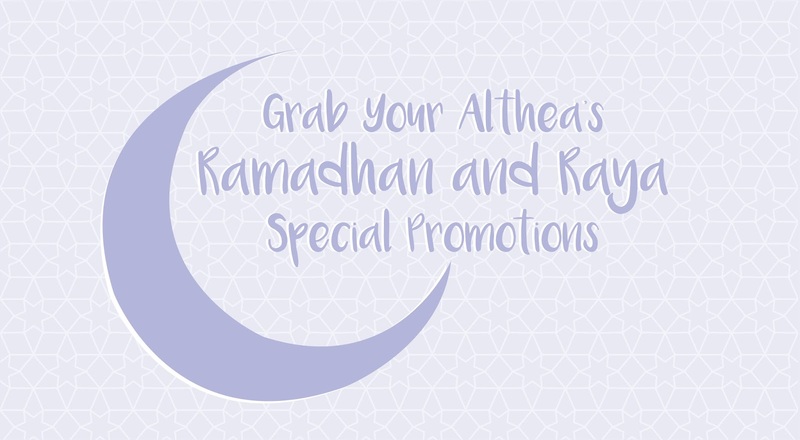 So, I just got the news that Althea will be having two special promotions in conjunction with the Raya celebration this year...can you imagine the amount of beauty products that will be up for grabs at an even more knocked down prices? Only a true beauty products fan would understand the level of excitement for this announcement. The first special promotion is the Limited Edition Raya Box. 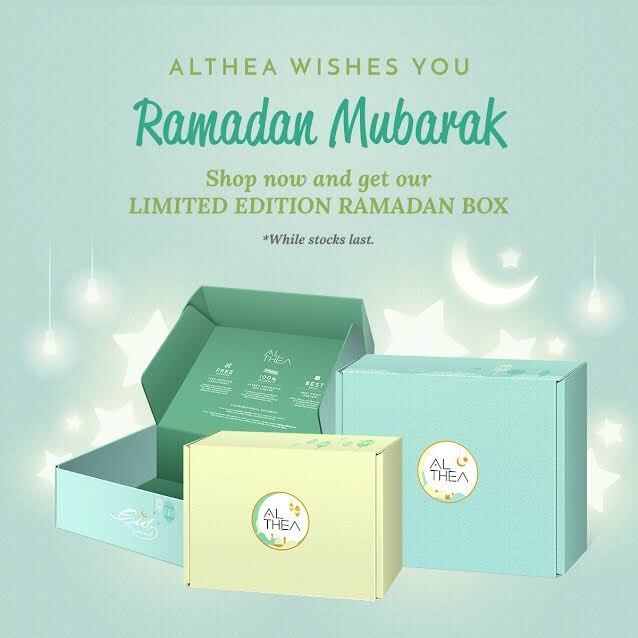 For this month only and while stocks last, Althea will be sending out their goodies in a Raya themed box and do I need to say more about the marked down prices that come along with it...just click Althea Ramadhan Box and you will be on your way to the heavens of beauty products. Now the second promotion is where fans of Althea will benefit the most! From what I was told, the Raya Giveaway Festival is a page filled with goodies that customers can pick 1 (of the beauty product) as a FREE GIFT. How to know? Well, you can simply check your orders at the 'Check Out' page, and it will show that the item has been discounted off. So what are you waiting for? Hurry up! Head on over to Althea Malaysia to grab this special promo! Let me know in the comment box below what have you purchased for this Ramadhan month. I hope this promotion is still available! I am not Muslim but always look forward to Hari Raya sales. Haha! Is it still available? I wish to have the Raya version! And the box is soo kawaii too.